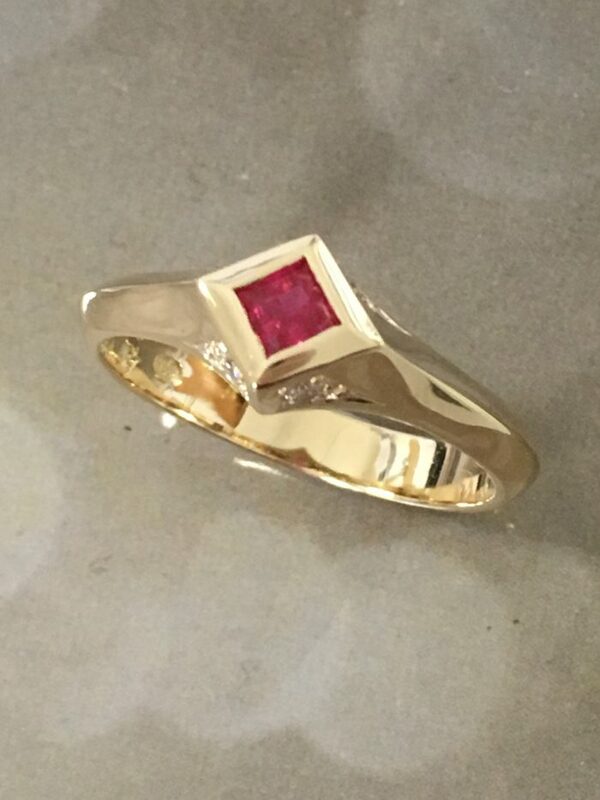 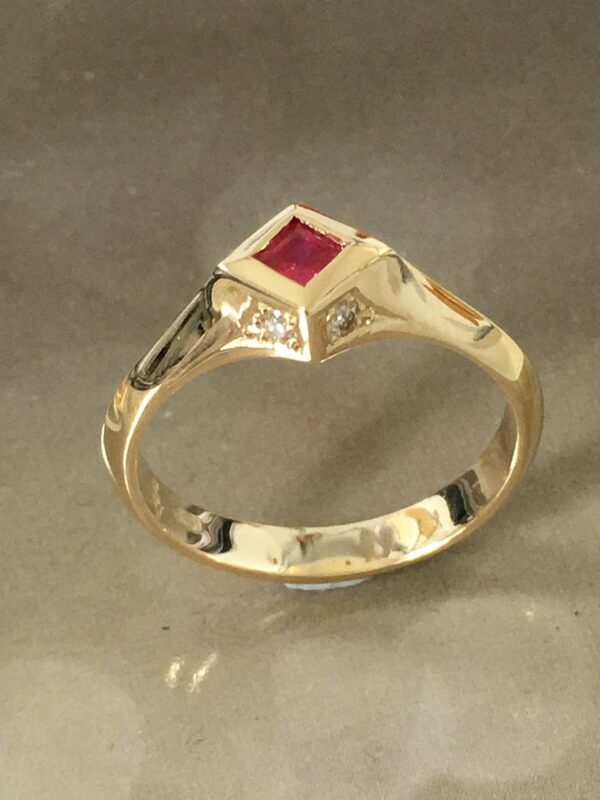 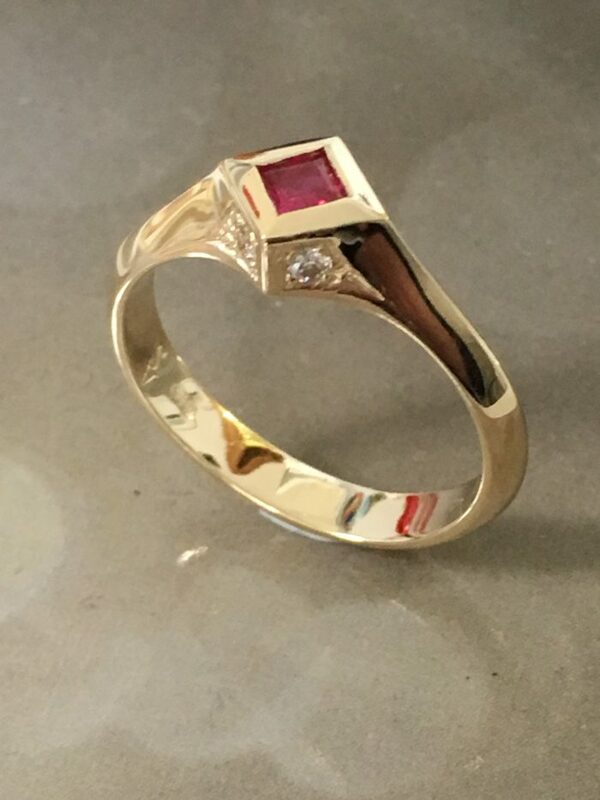 A stunning 9ct yellow gold art deco inspired dress ring set with a 3mm square cut bright red ruby. 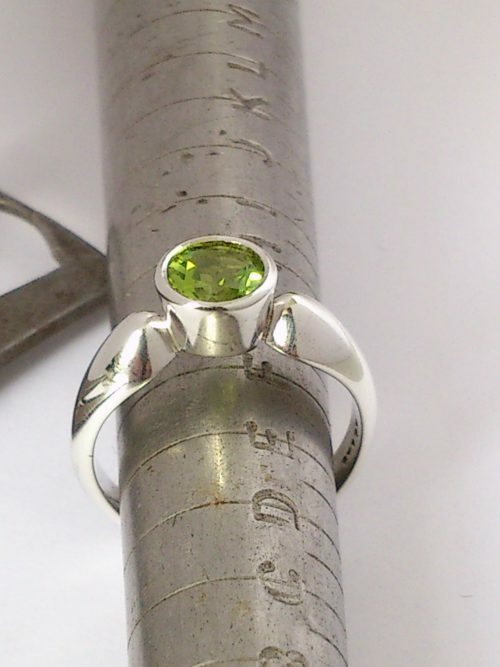 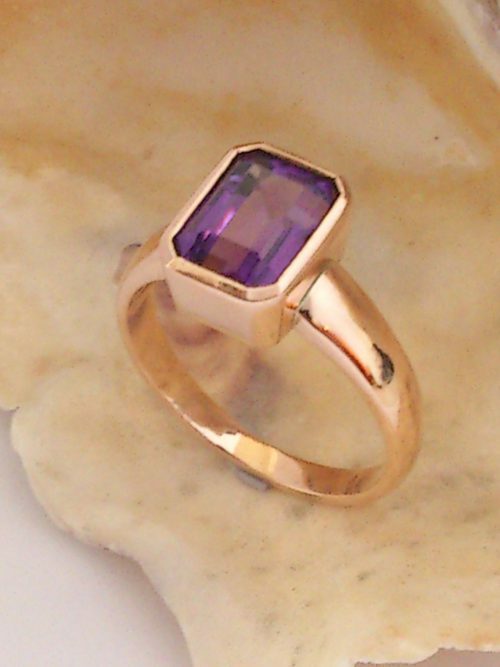 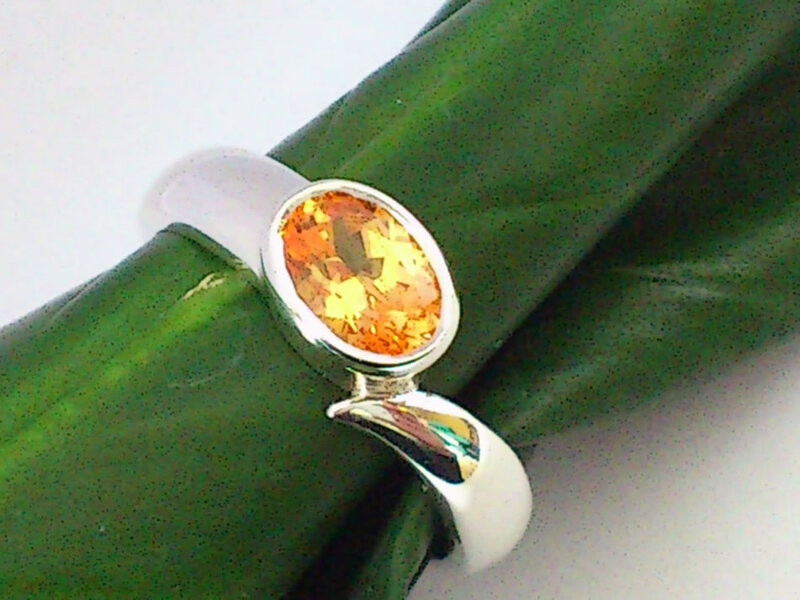 The rounded shank sweeps up and flares out to form a ridged shoulder, meeting a square signet head, set at a diagonal. 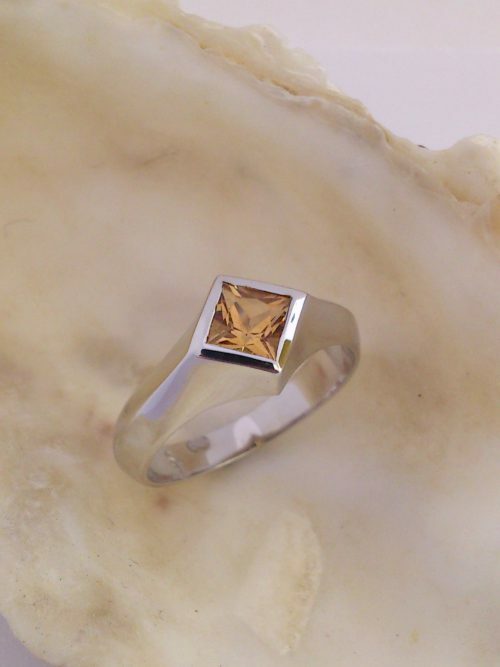 The sides of the ring are set with 4 x 0.02pt brilliant cut diamonds.